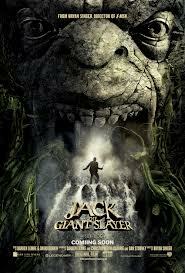 Jack the Giant Slayer looks utterly idiotic. The kind of idiotic that could be incredible fun at the cinema if it is executed with a semblance of charm. The effects look pretty spectacular, whilst a cast featuring Ewan McGregor and Nicholas Hoult, has promise. Who knows which way this will go, but fingers crossed it turns out to be worth our time. This one is slightly different to the one I saw in the theatre the other day. That one didn’t have the hideous voiceover at the end and the horrid song at the start, but ah well. For some reason when I saw the poster I thought it was an animated film. It is a pretty garbage poster. Worst bit is, it’s better than all the other ones I could find for the film.